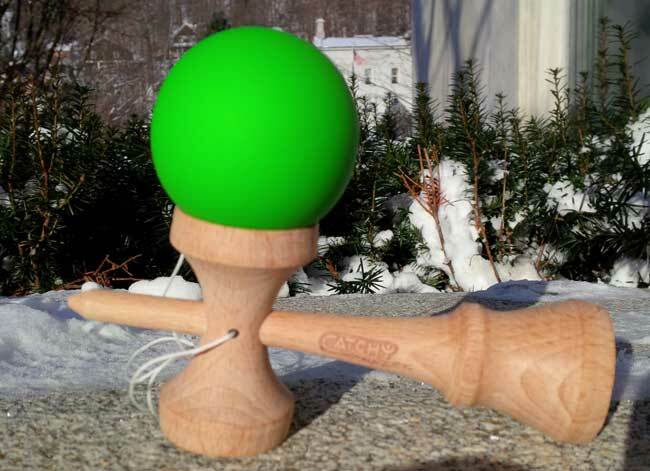 The Street is a traditional wooden Kendama by Arizona-based manufacturer Catchy (who share the same parent company as YoyoFactory). The Tama is painted with a special rubberized paint to assist with cup catches, the Ken is natural wood with the Catchy logo laser engraved. The cups are also slightly oversized. Special thanks to yoyoexpert.com for providing this exhibit!